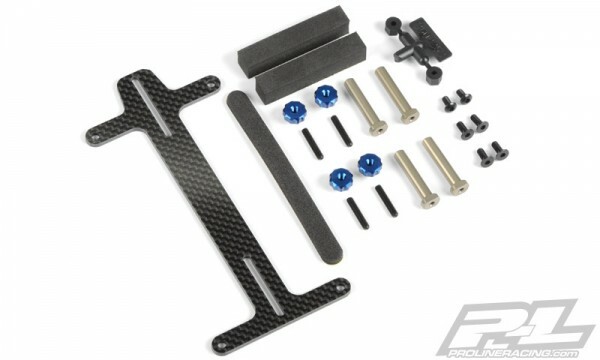 Pro-Line has developed a new must have option part for your PRO-2 with -8mm chassis – Carbon Fiber Battery Brace with Aluminum Mounts! The Carbon Fiber Battery Brace adds extreme adjustability to your PRO-2 truck (when using a shorty pack) by the use of slots that allow you to put the battery exactly where you want to (30mm forward or back). 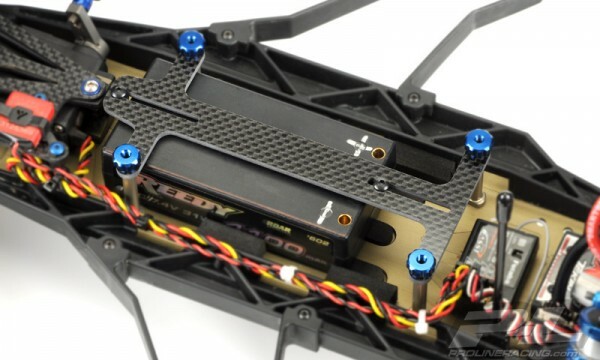 The precision machined Carbon Fiber Battery Brace (that was Made in the USA) also brings a high-end race look that will make your PRO-2 stand out from the crowd and eliminates the Velcro® straps. 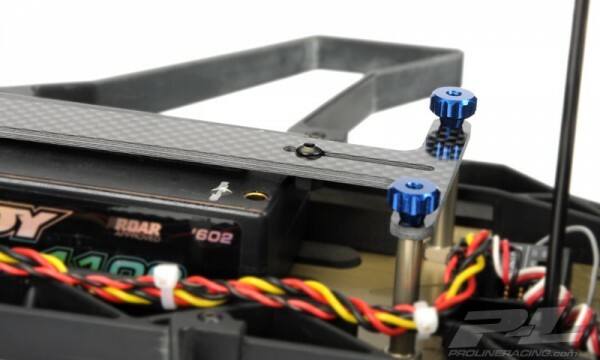 The Carbon Fiber Battery Strap includes Hard Anodized Aluminum Mounts for added style and strength. 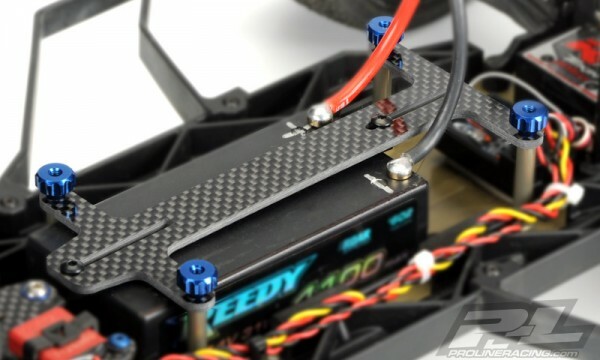 Be the first at your track with Pro-Line’s new Carbon Fiber Battery Strap, get yours today!